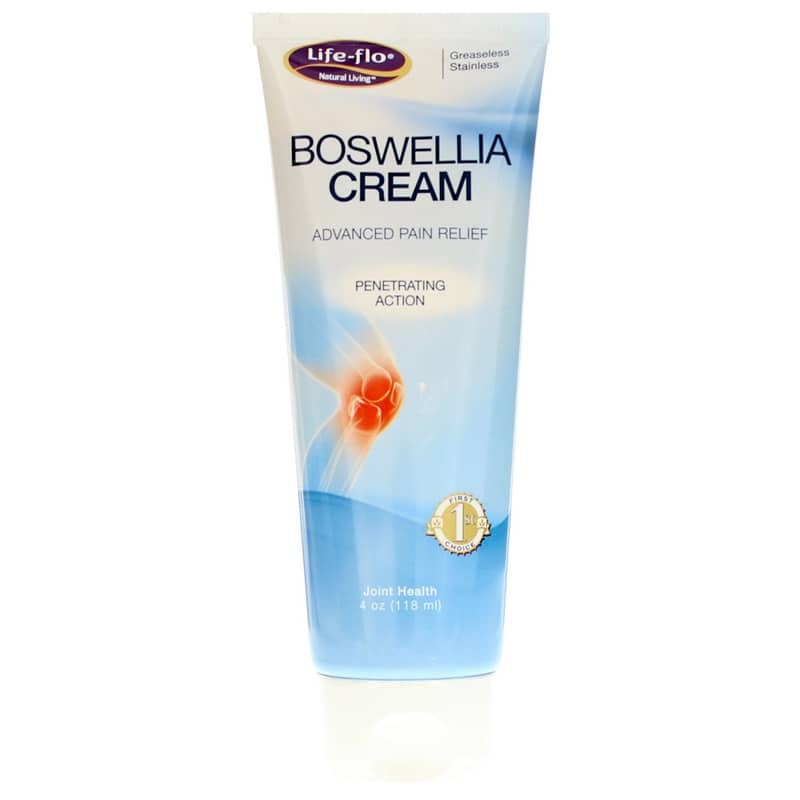 Boswellia Cream from Life-flo brings together the natural wisdom of Ayurvedic traditions and modern science to provide support for achy joints and muscles. Boswellia serrata, commonly known as frankincense, is a staple in Ayurvedic medicine and is relied on for its ability to block the formation of various problematic compounds. Boswellia may support a healthy balance of prostaglandins. Excessive prostaglandins may cause swelling that could damage cells and worsen joint pain. 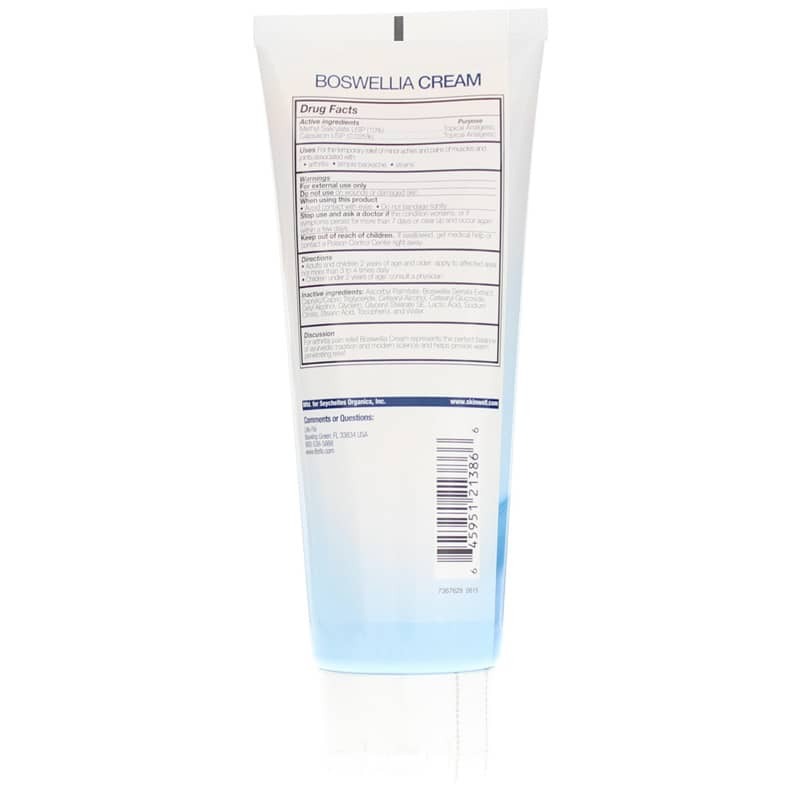 In addition to boswellia, this cream also contains methyl salicylate and capsaicin. Methyl salicylate is naturally found in a variety of plants and is often commonly called oil of wintergreen. It has unique cool but warming properties to provide aching muscles and joints with soothing warmth. Capsaicin, the compound that give spicy peppers their heat, provides additional warming support. Simply smooth on this cream to get soothing support for the temporary relief of minor aches and pains. Order Boswellia Cream today. Inactive Ingredients: ascorbyl palmitate, Boswellia Serrata extract, caprylic/capric triglyeride, cetearyl alcohol, cetearyl glucoside, cetyl alcohol, glycerin, glyceryl stearate SE, lactic acid, sodium citrate, stearic acid, tocopherol, water. Adults and Children 2 years of age and older: Apply to affected area not more than 3 to 4 times a day. For external use only. Do not use on wounds or damaged skin. Avoid contact with eyes. Do not bandage tightly. Stop use and ask a doctor if condition worsens or if symptoms persist more than 7 days or clear up and occur again within a few days. Keep out of the reach of children. Sorry folks, but this product proved absolutely worthless for me. It afforded me no pain relief for any of my aches and pains. I contacted the maker of this product, Life Flo, to offer my opinion of this product, and they didn't even have the courtesy of returning my e-mail.